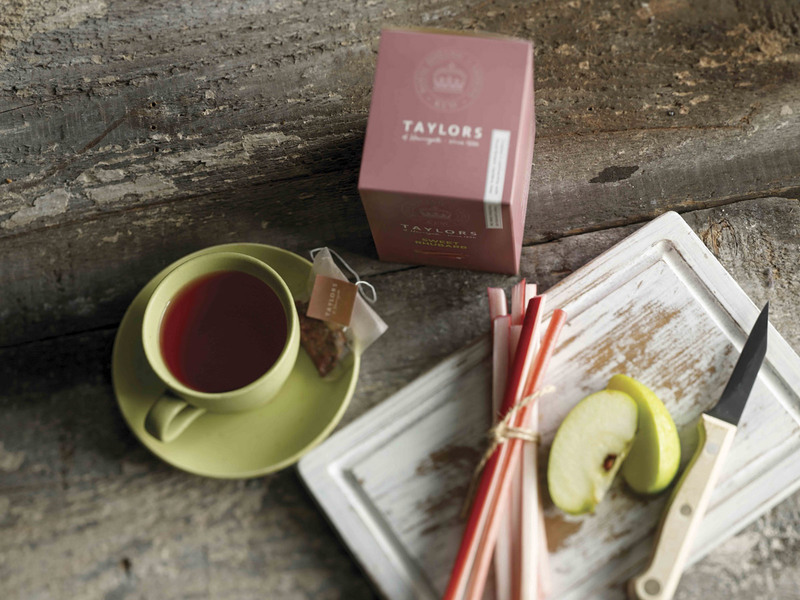 I worked with Taylors of Harrogate on many projects including branding and packaging. This particular project was for a new range of herbal and fruit tea infusions produced in partnership with the Royal Botanical Gardens at Kew. 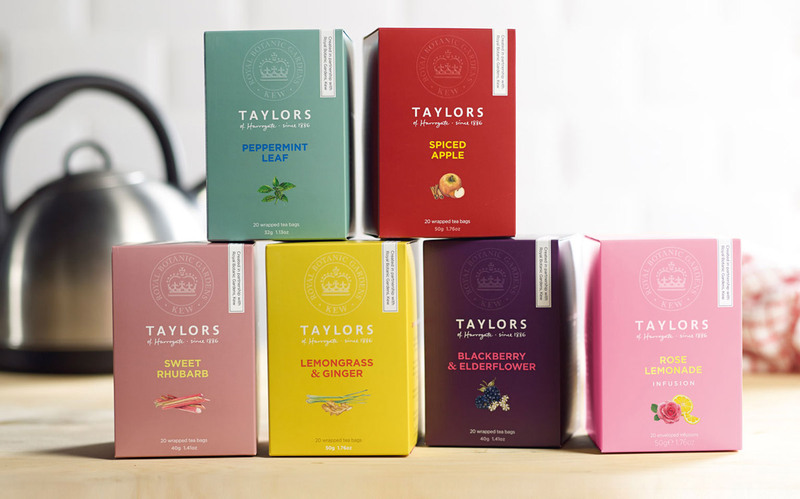 Combining the expertise of Taylors’ master tea buyers and the knowledge of the experts at Kew, this range was always destined for success. Taylors asked me to write evocative and informative on-pack copy to help position the brand, explain the association and give the drinker a taste of what to expect. Images from taylorstea.co.uk. 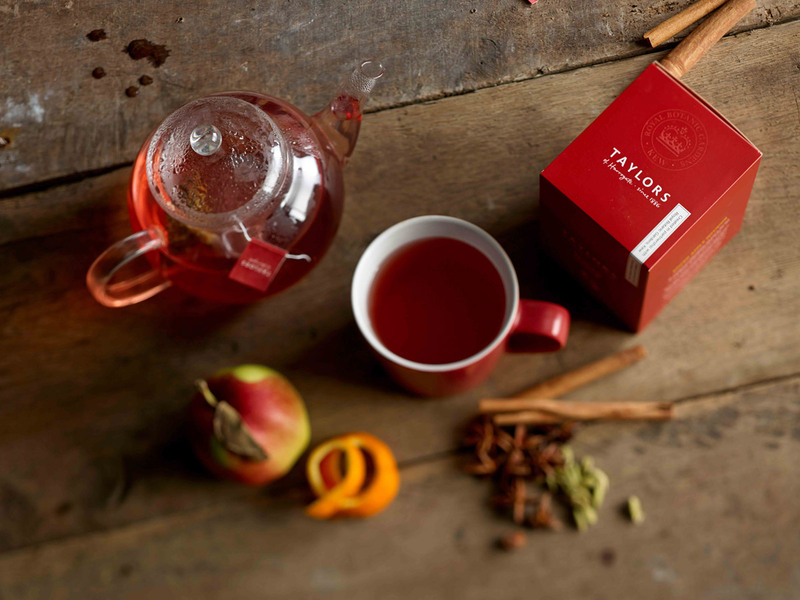 Our flavour experts at Taylors of Harrogate have partnered with leading plant experts at Royal Botanical Gardens Kew to create a delicious range of infusions. 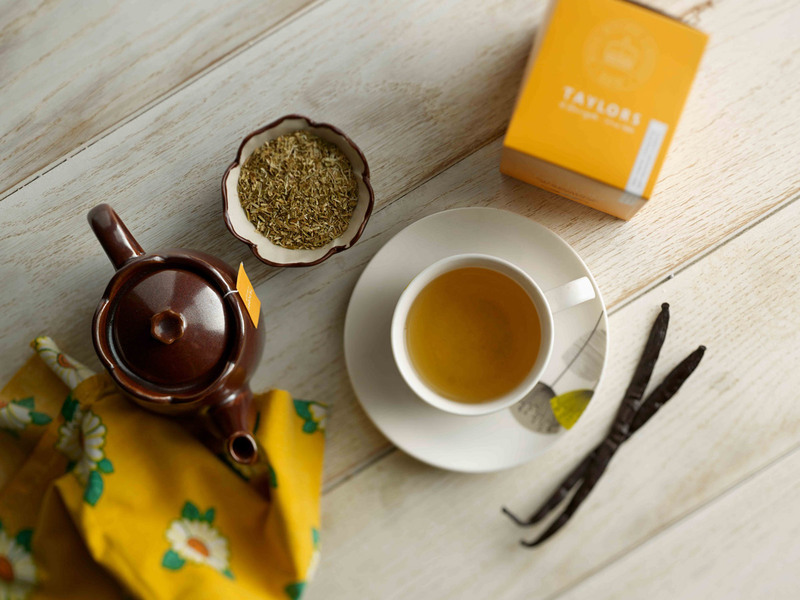 Together we have carefully selected fruits and herbs bursting with flavour and goodness, to bring you wonderful taste experiences like this delightfully smooth Chamomile and Vanilla infusion. We’ve taken pure chamomile then sweetened with natural vanilla flavouring and a pinch of orange leaves. Kew recommend this blend as a natural way to help you relax and improve your sleep. We’ve blended fragrant lemongrass with spicy ginger root then added delicate rosehips, rose petals, hibiscus and verbena leaves. 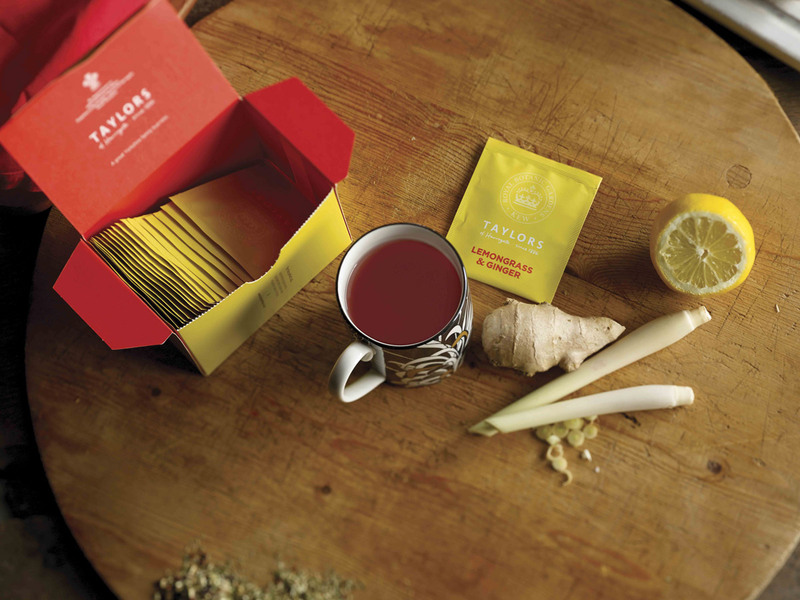 Kew recommend this antioxidant-rich blend as a natural way to help keep your stomach healthy and coughs and colds at bay. We’ve combined the natural sweetness of rhubarb with crisp apples and finished this infusion with hibiscus flowers and blackberry leaves. Kew recommend this blend as a natural way to help boost your intake of antioxidants, calcium and vitamins C and K.
We’ve balanced the taste of fresh blackberries with the sweet fragrance of elderflower then added juicy raspberries and a twist of orange. Kew recommend this vitamin C and antioxidant-rich blend as a natural way to help detox and boost your immune system. We’ve selected the finest peppermint leaves, rich in essential oils, and gently dried and cut them to make an invigorating and refreshingly tasty peppermint herbal infusion. Kew recommend this blend as a natural way to help soothe, aid digestion and clear your head. We’ve taken crisp apples, zesty orange peels, plump elderberries and punchy ginger then spiced them with cloves, cardamom and star anise. Kew recommend this antioxidant-rich blend as a natural way to help aid digestion and strengthen your immune system.